See magic. Learn magic tricks. Do art activities. Have a blast! Be amazed by magic! 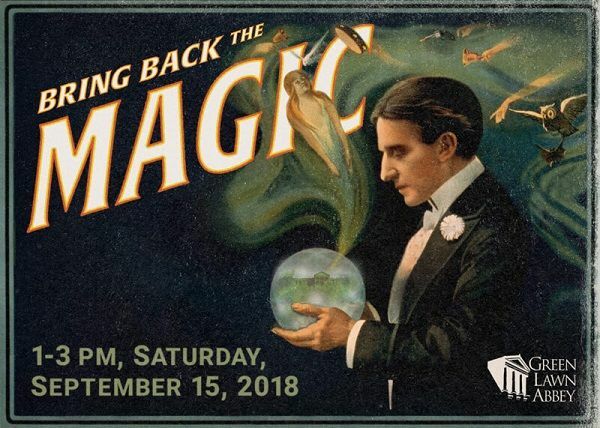 On Saturday, September 15 from 1pm to 3 pm, Professional Magician Carrol Baker will leave you speechless with his magic feats, and then he’ll show you how to do magic tricks, too. Program also includes fun art activities, history of magic & learn about Columbus’s own internationally famed magician Howard Thurston. Snacks included. All this in the “hauntingly“ beautiful Green Lawn Abbey. For ages 6-12 $5 kids, $10 adults. For questions call 614-60ABBEY. Buy your tickets now! 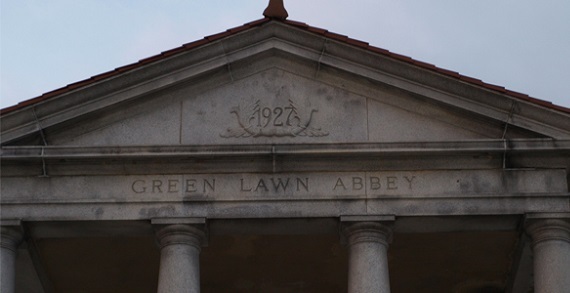 Green Lawn Abbey is an incredibly beautiful historic building located at 700 Greenlawn Avenue. Listed on the National Register of Historic Places, it a place where programs on art, architecture and history are offered for all ages. In fact it is a mausoleum where we celebrate life. Join Green Lawn Abbey for a special summer Birthday Celebration for magician Howard Thurston. Appropriate for ages 7 - 12. Enjoy magic, juggling, and art activities. Snacks available. 50 W. New England Ave.